Ascending Butterfly: Winner Announcement - Ascending Butterfly's Mario Badescu Giveaway Winner! Winner Announcement - Ascending Butterfly's Mario Badescu Giveaway Winner! Congratulations to 'Kayte71' (we post our winner's comment/follower names instead of full names, this is why it's in quotes) the winner of Ascending Butterfly's Mario Badescu Giveaway! We would like to thank our sponsor Mario Badescu. We would love to work with you again! Ƹ̵̡Ӝ̵̨̄Ʒ - Ended 12/23 -$25 Kohl's Gift Card Giveaway! 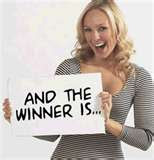 <--We have notified our winner, and upon winner confirmation, we will post a winner's announcement on our homepage. Giveaways will return on 12/26! Thank You for choosing to spend a part of your day with Ascending Butterfly!